GRNW 2015 – What to expect and where to go?? Wow! We are two days away from the third annual Gay Romance Northwest Meet-Up at the Seattle Public Library on September 26! Can I buy tickets online still? Yes. You can purchase a conference pass for $25 at Brown Paper Tickets. For all tickets purchased before Friday at 9am, we’ll have a name tag printed for you at registration. Tickets purchased after that, we will have a blank name tag to fill in. Heads-up: Online sales end Friday morning. Brown Paper Ticket sales end at 9am on Friday. You can purchase a pass after that at the Hugo House events on Friday night. (At the Old Growth table) or you can purchase at the registration desk on Saturday morning. Can I buy a ticket at registration? Yes, you can purchase a ticket for $25 at registration. Cash, check, or credit cards are accepted. When does the library open? For GRNW attendees, you can enter the library at starting at 9am. The library does not officially open until 10am, but since we have to start at 9am for registration, attendees can come in early. Are there activities before Saturday? Yes! As listed in our program schedule, we have a couple free reading events the night before on Friday, September 25. 7pm – 8:30pm: #LoveWins Reading and Q&A at Hugo House with Edmond Manning, Alex Powell, Radclyffe, Anne Tenino, and Yolanda Wallace. 8:45 – 10pm: 5 Minutes in Heaven reading at Hugo House with authors Vicktor Alexander, Ralph Josiah Bardsley, Heidi Belleau, Austin Chant, Ethan Day, R.G. Emanuelle, Daisy Harris, Andi Marquette, Rick R. Reed, and Karelia Stetz-Waters, and MC-ed by local author Evan J. Peterson. We hope you can join us for these Friday events! They are a great way to kick-off the weekend and to begin meeting attendees. Book Festival: 4pm – 6pm at the Hotel Monaco (across the street from the library at 1101 4th Ave. The festival is downstairs in the Paris Ballroom. The festival is FREE to enter, so come and enjoy! After Party: 6:30pm – 9:00pm – Neighbours Night Club (1509 Broadway, Seattle, WA 98122) Come celebrate Banned! Books in Drag, a free multi-performer drag performance, hosted by The Seattle Public Library. It will be a wonderful celebration of drag and literature! After-After Party: 10am – Midnight (Trace Bar, 1112 4th Ave, Seattle, WA, across the street from the Hotel Monaco.) Come relax and enjoy a low-key time to chat over the day. What should I expect at the free book festival after the conference? Both the authors and the publishers Bold Strokes Books, Dreamspinner Press, and Wilde City Press will be selling books. What can I expect at the After Party and the After-After Party? Both the after party at Neighbours and the After-After Party at Trace will be a very casual setting. Neighbours is open to the public (although 21+), so there will be more than GRNW attendees there to enjoy the Banned! Books in Drag programming. Trace is the bar in the W Hotel, and will overall be very chill and relaxed. I hear there will be free books at the conference? Yep! We have loads of free books that you can just grab and take with you. Enjoy! Where can I park? 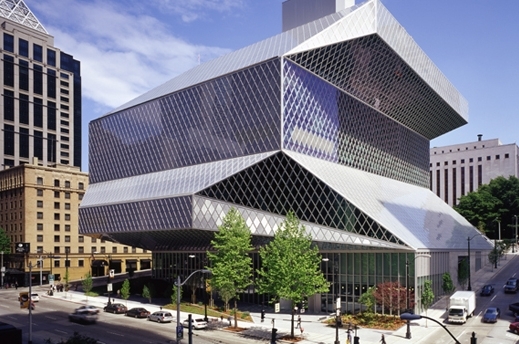 The Seattle Library has parking all day for $8, but it ends at 7pm. Downtown also has some nearby lots. Street parking becomes free after 8pm.